Fortis Healthcare Limited is a leading, integrated healthcare delivery provider in the Pan Asia Pacific region. The healthcare verticals of the company span diagnostics, primary care, day care speciality and hospitals, with an asset base in 11 countries, many of which represent the fastest growing healthcare delivery markets in the world. Currently, the company operates its healthcare delivery network in Australia, Canada, Dubai, Hong Kong, India, Mauritius, New Zealand, Singapore, Sri Lanka and Vietnam with 76 hospitals, over 12,000 beds, over 600 primary care centers, 194 day care speciality centers, over 230 diagnostic centers and a talent pool of over 23,000 people. Fortis Healthcare is driven by the vision of becoming a global leader in the integrated healthcare delivery space and the larger purpose of saving & enriching lives through clinical excellence. Fortis Flt. 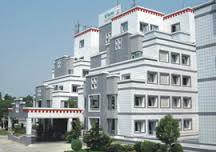 Lt. Rajan Dhall Hospital, Vasant Kunj, New Delhi, is a 200 bed NABH certified multi-specialty tertiary care hospital. Spread over a sprawling 1,50,000 sq. ft, it is a manifestation of Fortis Healthcare's vision of creating "a world-class integrated healthcare delivery system in India, entailing the finest medical skills combined with compassionate patient care", and delivering it in a comfortable ambience that makes residents feel like they're at home. Our approach, based on patient centricity, state-of-the-art emergency response, integrity, teamwork, ownership and innovation, combines compassionate patient care with clinical excellence, to achieve a single-minded objective... Saving and Enriching lives.